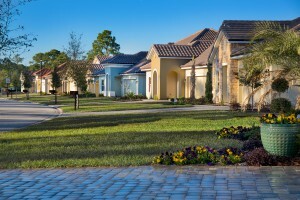 elacora is launching the Serena Collection of homes in its Madeira at St. Augustine community. This Collection features larger homes on wider home sites and continues to offer Madeira’s unique floor plans, quality construction and energy efficiency features not typically found in new homes. Homeowners will also have access to the new Residents Club, set to open in May. The spacious amenity center will feature a clubhouse, fitness center, pool with lap lanes spacious shade pavilion and adjacent party plaza. The Madeira at St. Augustine community includes homes from distinct collections and all homes include solar panels to harness energy from the Florida sun. The Serena Collection is in response to market demand. These homes will include three-car garages and will range from 2,280 square feet to 2,808 square feet. These homes, priced from $299,900, will contain flex options and standard solar panels. The Capri model’s open plan allows for warm gatherings and the model’s optional sunroom grants additional living space and views of the adjacent lake. The Serena Collection homes currently under construction and will include several move in-ready homes and a designer-decorated model home. For more information about the current homes that are available for move in and the newly launched homes in the Serena Collection, visit or call the sales office. The community is conveniently located on U.S. 1 in northern St. Augustine. The sales office is open daily 10 a.m. to 5:30 p.m. Monday through Saturday and 1 p.m. to 5:30 p.m. on Sunday. To schedule an appointment to tour the community’s models, call (904) 484-9024 or visit www.elacora.com. 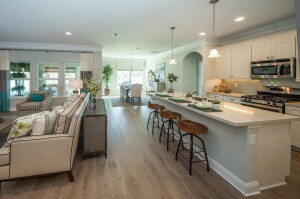 The interiors of the new homes at Madeira at St. Augustine are tastefully designed.